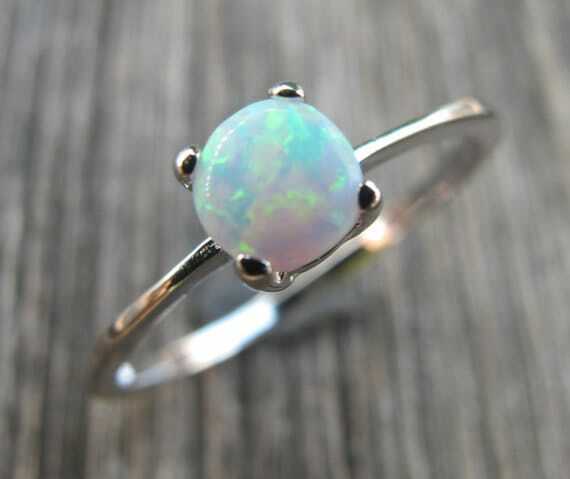 A stackable Sterling Silver Ring featuring a man-made iridescent Opal. It is absolutely mesmerizing with revealing rainbow hues that are so lovely to stare at! Wrapped in a box ready for gift giving. 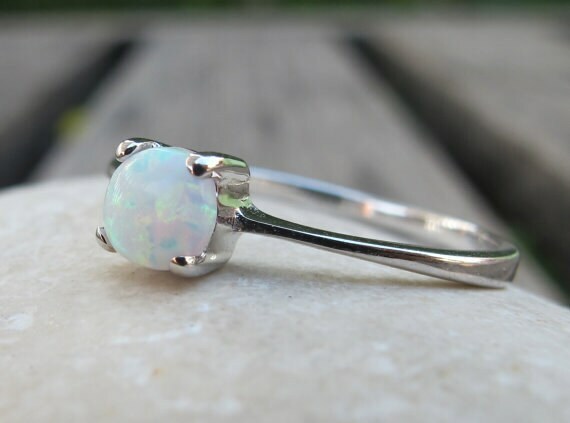 **TOP SELLER OPAL RING on Etsy more than 600 rings SOLD! 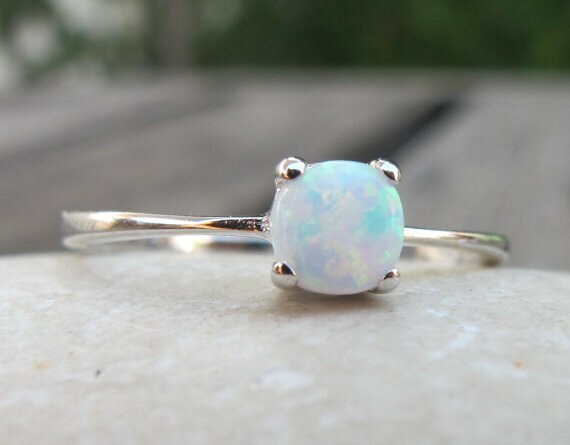 "Beautiful, simple ring! Purchased for 17 yr old daughter for Christmas. She loves it!!! Easy transaction and timely delivery." 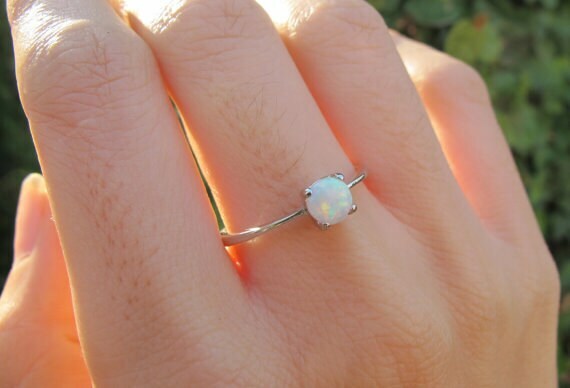 "This is such a beautiful, dainty ring. I absolutely adore it. Thank you ever so much!!!" 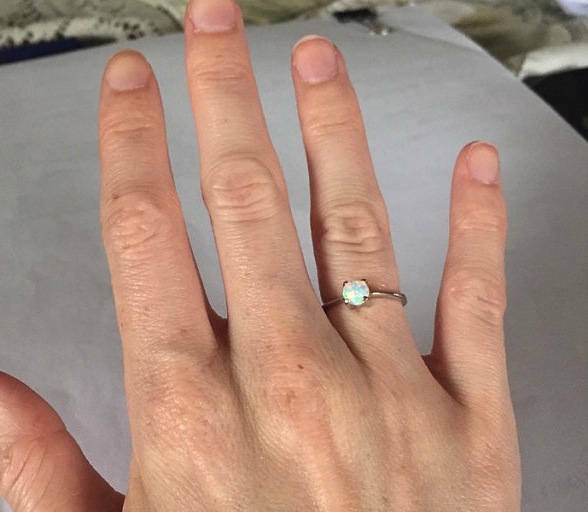 "I ordered this ring and when it came I was so excited. I am so happy with the way it turned out and with the quality. It's the perfect 'dainty' ring to spice up an outfit. I love love love it. " "What a beautiful little ring! The item is exactly as pictured, the sizing is accurate, and the shipping was very quick! I couldn't be more pleased. Thank you! "Love this ring! It fits perfectly and shipped promptly. " 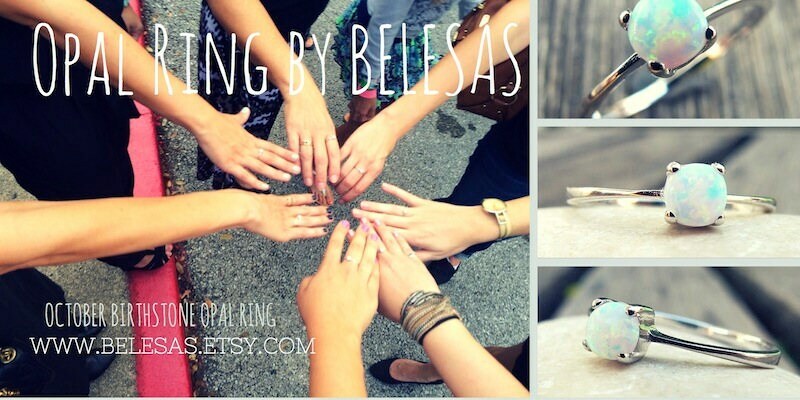 "This is such a beautiful ring that you are able to wear with everything. It was definitely worth buying!" 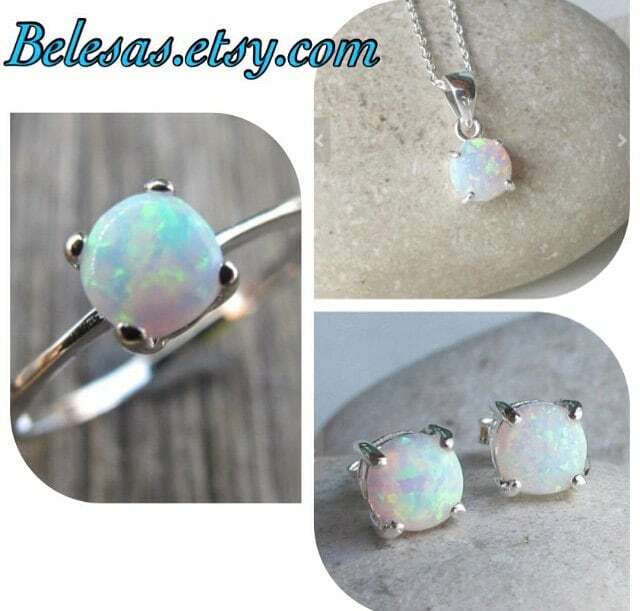 "In love with this opal 100℅ satisfaction." "So beautiful. Great quality ring. True to size, and shipped very quickly. Very pleased." 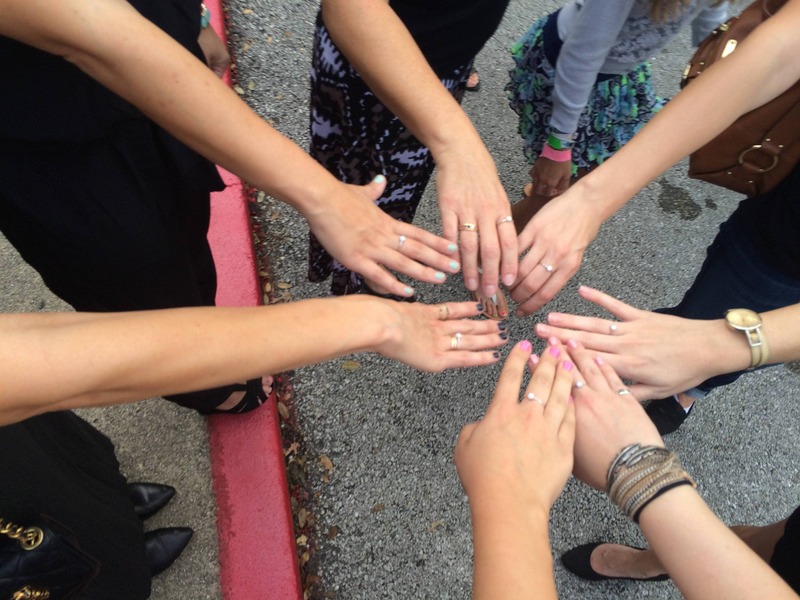 " The ring is everything I expected: dainty and beautiful. Delivery was quick and the it fits perfectly!" Beautiful and simple. I am enjoying wearing this ring. 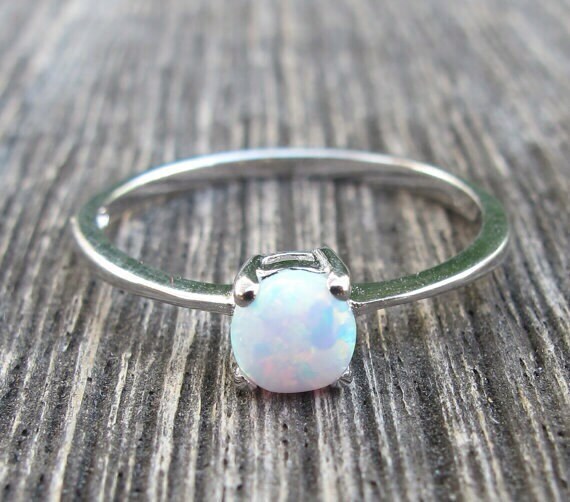 I’m obsessed with this ring!! It fits perfectly and it is so nice and simple!! Highly recommend!!! Thank you!!! 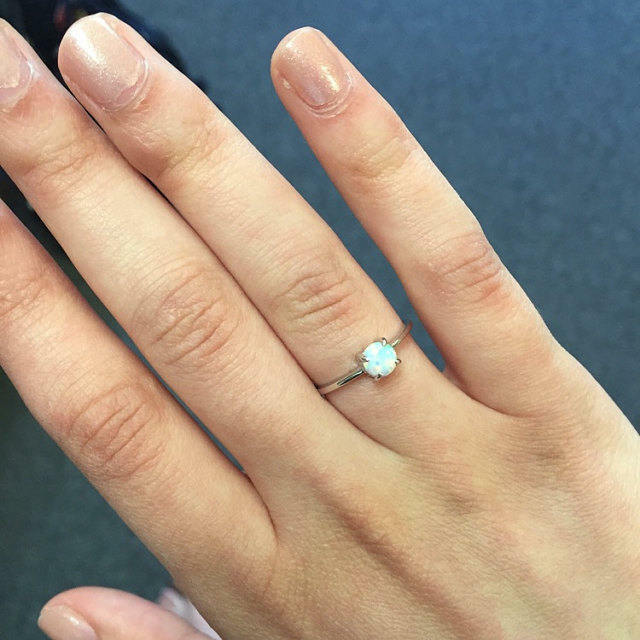 Shipped quickly and the ring is beautiful - very dainty and exactly what I wanted.